Got up the next morning and headed out fairly early to go to the Newport Aquarium. I hadn’t been there since just before Keiko left, so there were lots of cool new exhibits. Took a couple of the obligatory tourist photos. 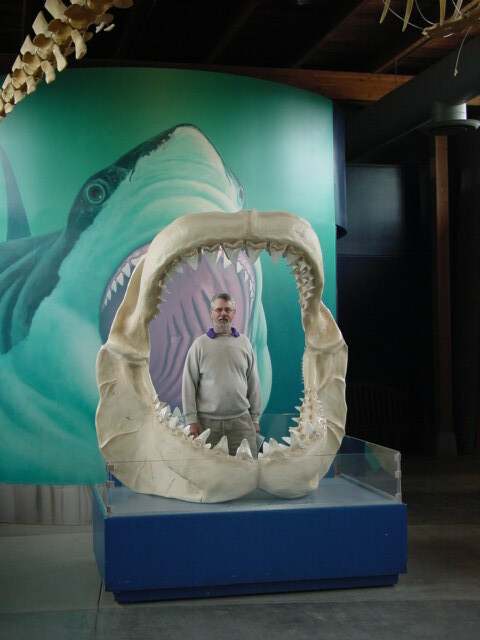 Michael in the jaws of a shark. 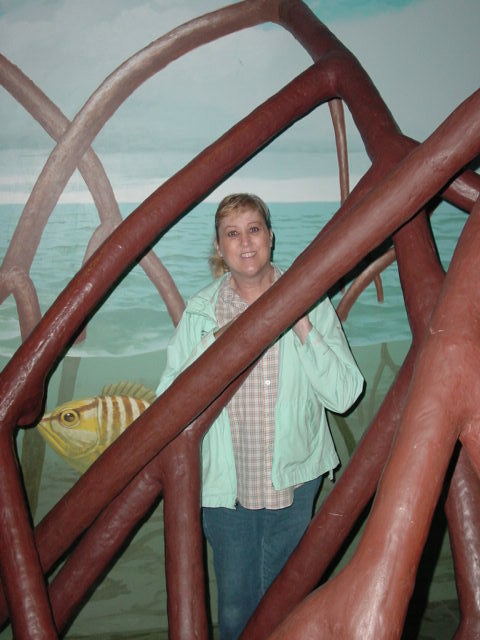 Me in a fake Mangrove. Spent a little over an hour at the aquarium, then headed north on 101 to the Haceta Head Lighthouse. A chilly and misty morning. 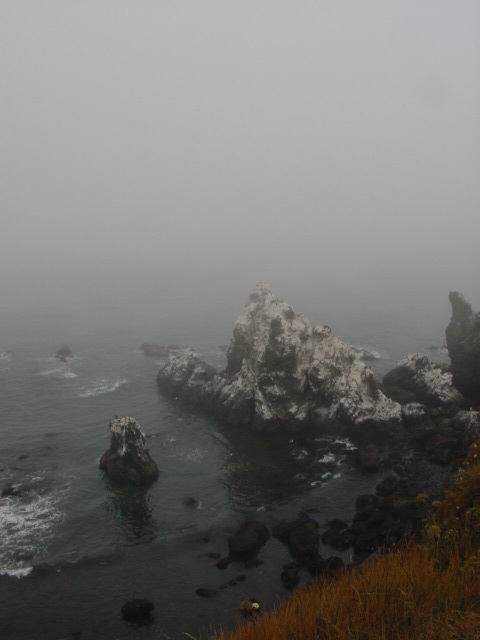 Typical Oregon coast weather. 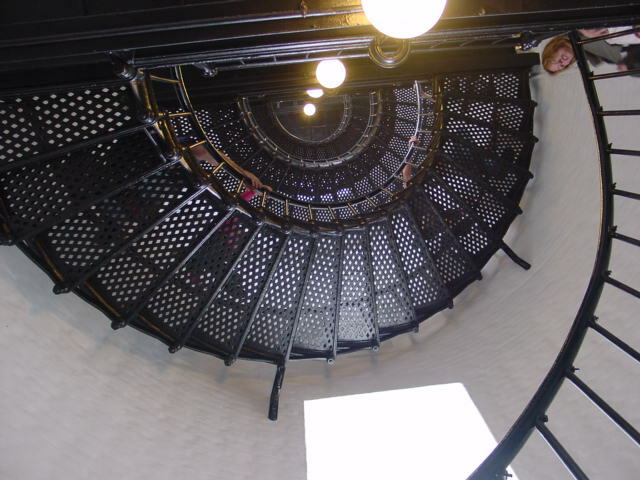 We waited in a short line for the ‘guided tour’ of the lighthouse. 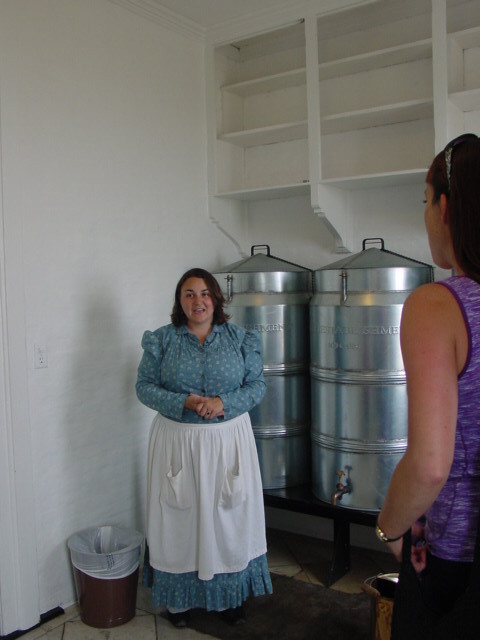 This was in the ‘oil room’. These tanks held the oil that burned to light the lighthouse. 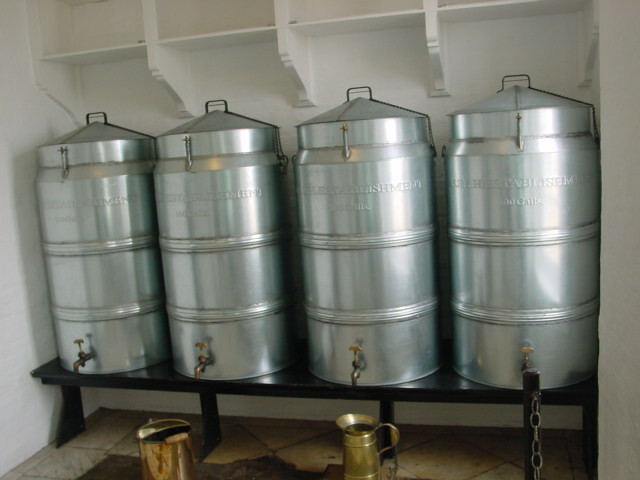 Every day the keeper had to carry a bucket (shown on the left) of oil up the stairs. I think she said it was 144 stairs. We ‘could have’ continued on and gone up the stairs to the top, but neither of us has the knees for that! Most of the visitors DID climb the stairs though. 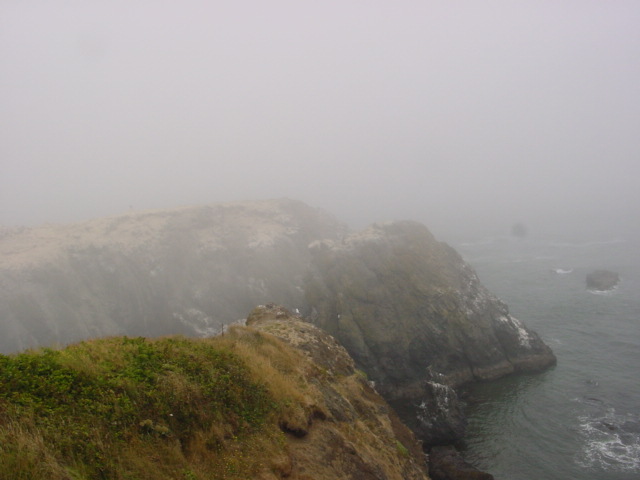 Looking out over the Oregon Islands from lighthouse viewpoint. The sun kept TRYING to break through the most, so we hung out for a while hoping it would for some clearer pictures. 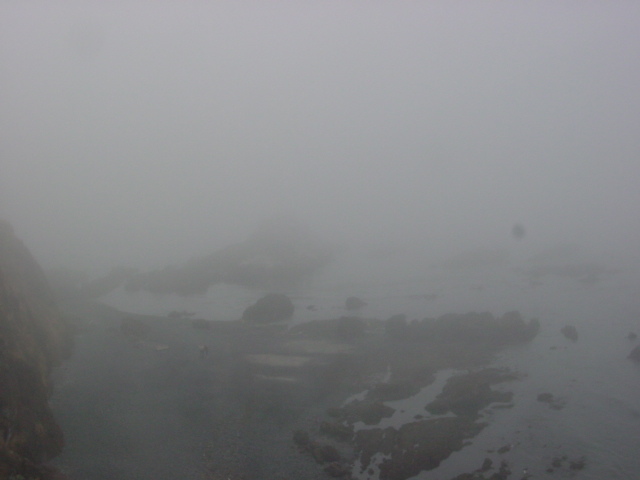 Alas, all we got was foggy pictures. 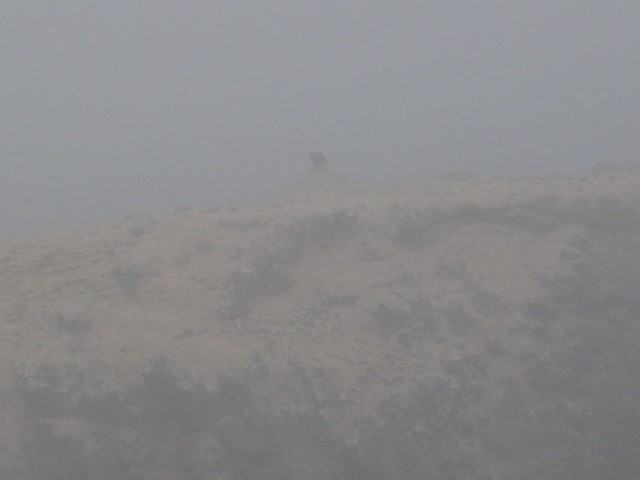 Really wanted to get a better picture of this bald eagle atop this rock formation. There were 2 more of them flying around. So majestic! 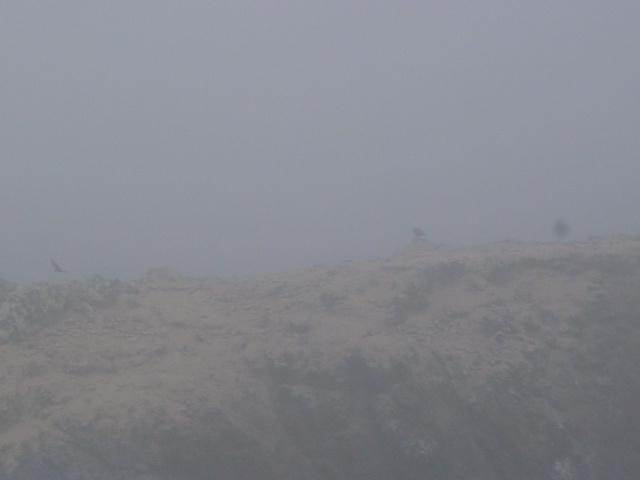 Barely visible, but can you see the eagle flying on the left?? 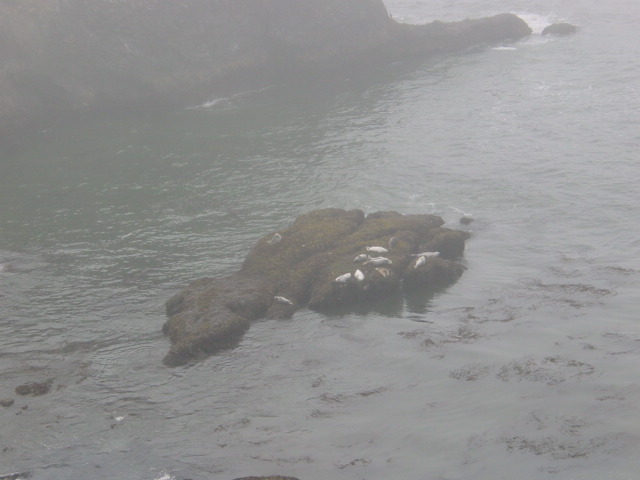 Sea lions taking a morning nap. Then we got back onto North 101. Stopped at Devil’s Punchbowl, but it was low tide, so not very exciting. 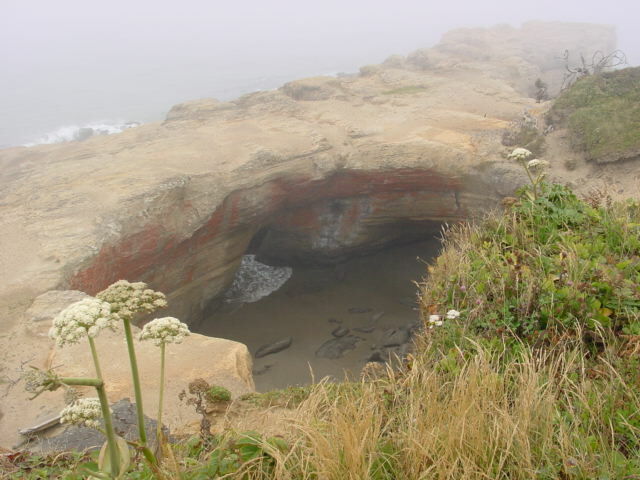 When the tide is high, the water bubbles up into this cavern, and sometimes shoots clear up to the overlook. It’s quite an amazing sight. 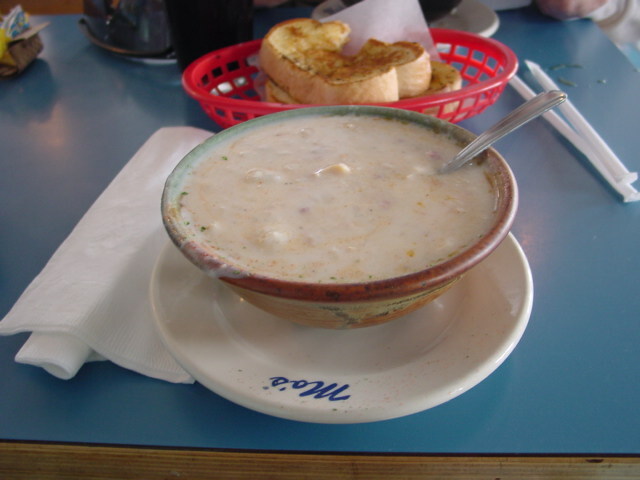 Stopped at Mo’s for a big bowl of clam chowder for lunch. This is the ENTIRE seating area shown in this picture. Eight tables, each with 8 chairs. That’s it! Been this way for as long as I can remember. 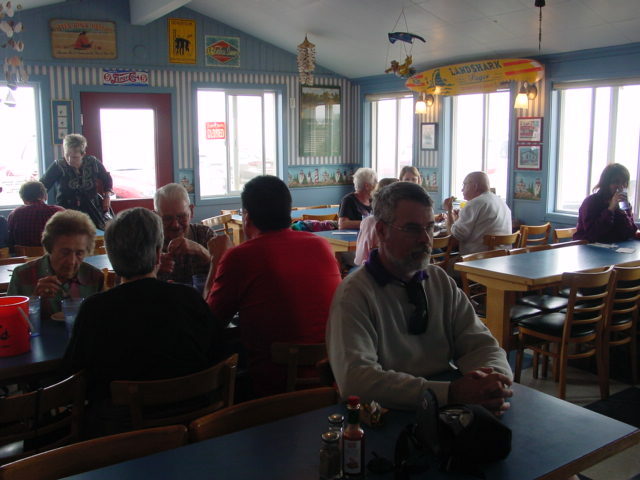 Very coastal quaint! HUGE bowls of clam chowder, filled so full it’s dripping over the edges; topped with melted butter. Mo’s secret chowder ingredient??? Bacon!! A dash of tabasco on top and I’m in Heaven!!! I squeezed in a little bit o’ shabby shoppin’ along the way too. Those pics will have to wait though. I hear a big rummage sale in town calling my name right now! Seeing Mo’s brings back great memories of our vacation to the Oregon coast last summer. 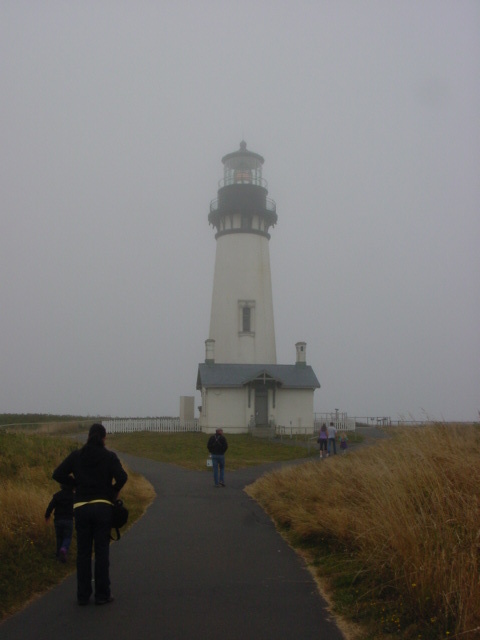 It was our first visit to Oregon (actually hubs had been there when he was a kid) and really enjoyed it. We went to Mo’s in Lincoln City and it was wonderful. I knew it would be judging by the long line to get in! The aquarium was great too. I have a pic of our son in the Jaws! Great visit and everyone was so nice.